Sharon Ann McCulley Thorna, 85, of Oneida, passed away Monday, December 3, 2018 at Oneida Healthcare ECF, with her family by her side. She was born September 19, 1933, in Oneida, the daughter of Edward H. and Mary Elizabeth Sweeny McCulley. She was a graduate of Oneida High School, Class of 1951, where she was head majorette. On April 24, 1954, at St. Patrick’s Church, Oneida, she married Donald J. Thorna. For many years, Mrs. Thorna was the drive thru teller with Chase Bank in Oneida. 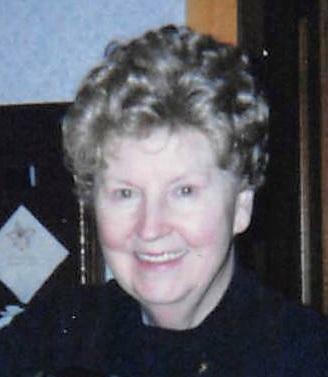 She was a parishioner of St. Joseph’s Church, Oneida. Sharon was kind, compassionate and loving toward her family and friends. She will be missed by everyone who knew her and she always put others needs before her own. Sharon was an enthusiastic shopper and loved QVC. She is survived by her husband of 64 years, Donald; four children, Donald T. (Lori) Thorna of Oneida, John N. (Brenda) Thorna of Bouckville, Elaine S. Thorna of Oneida and Victoria L. (Michael) Carter of SC; two grandchildren, John E. Thorna and Melissa (Chris) Coyle; two great grandsons, Sebastian and Jude Coyle; and her niece and nephew, Mary and Steve McCulley. She was predeceased by her parents; her brother, Edward C. McCulley; and three grandsons, Justin Anthony Thorna, Andrew Thomas Thorna and Jeffrey Michael Carter. Services will be Thursday at 11 am at St. Joseph’s Church, Oneida. Interment will be in St. Helena’s Cemetery, Oneida. There are no public calling hours. In lieu of flowers, kindly consider the Oneida Fire Department. Arrangements are with Coolican-McSweeney Funeral Home, Oneida.